Hong Kong has been a staunch supporter of the United States Container Security Initiative (CSI) - a Customs-to-Customs cooperation initiative proposed by the US Customs and Border Protection (CBP) following the September 11, 2001 terrorist attacks. Hong Kong has been a staunch supporter of the United States Container Security Initiative (CSI) - a Customs-to-Customs cooperation initiative first proposed in January 2002 by the US Customs and Border Protection (CBP) following the September 11, 2001 terrorist attacks. A CBP team has been stationed in Hong Kong since May 2003 working closely with the Hong Kong administration. In 2006, the US Congress mandated the Secured Freight Initiative (SFI) to test the efficacy of inspecting all shipping containers arriving from overseas to weed out terrorist threats. Unlike the CSI, the SFI is only involved in the scanning of high-risk containers. However, in 2007, Congress further mandated 100 percent inspection even before the tests had started. On July 27, 2007 Hong Kong and the US exchanged letters of understanding on Hong Kong's participation in the SFI in a limited capacity. Containers leaving Hong Kong for the US delivered through the in-gate of a designated terminal at Kwai Chung (Modern Terminals) are scanned on a voluntary basis. According to US Customs and Border Pro-tection sources, US bound traffic from Hong Kong peaks at about 6,000 containers per day, and accounts for around one fifth of containers leaving that port. Margaret Fong, Hong Kong's Commissioner in the United States was bullish about Hong Kong's trade relations with the US, describing the SAR as a "strong partner" for the various initiatives Washington has taken to beef up security in the shipping sector. Fong served as Hong Kong's Deputy Secretary for Transport from 1999 until 2004, with a portfolio that covered a wide range of transportation issues, including planning of new road and rail networks both within Hong Kong and linking Hong Kong with the Pearl River Delta (PRD). Fong described Hong Kong and the US as "good friends". "The United States is a long-time, dependable friend," she told Cargonews Asia. "Likewise, Hong Kong reciprocates by being an equally dependable friend and partner who is willing to participate in various US initiatives aimed at, for example, making security an important aspect of shipping." Fong also highlighted Hong Kong's "efficient 24-hour turnaround service". "Of particular interest for the United States is Hong Kong's efficacy for providing security for cargo containers," she said. "US legislation requires 100 percent scanning. This is a huge undertaking and the US administration wants to check out the pilot project. "In fact, Hong Kong volunteered to help because it underlines our strong commitment and our contribution to the common goal of security. Hong Kong is the only country in the world to have volunteered to do so while some others have abandoned the pilot project because of its impracticality." 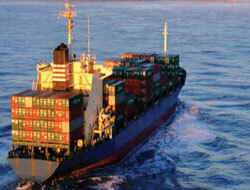 Hong Kong has further extended its participation in the Secure Freight Initiative (SFI) pilot to April 30, 2009. A study of the pilot programme gives a rough approximation of what exactly it would require to screen every single container entering the US from Hong Kong. Fong added that Hong Kong supports the US in its fight against terrorism. However, she acknowledged that 100 percent scanning requires considerable resources, particularly in view of Hong Kong's size and volume. Hong Kong handled some 24 million TEUs last year. The United States is Hong Kong's second biggest trading partner after China. "Hong Kong's two-way trade with the United States amounted to US$65 billion in 2007. US investments in Hong Kong amounted to $42.9 billion in 2007, and is expected to be closer to $60 billion this year," she said. She also pointed out that Hong Kong International Airport, the world's leading airport in terms of cargo movement, had handled 3.74 million tonnes in 2007, far ahead of the two million tonnes handled by Seoul airport, the world's second largest. "Hong Kong airport is expanding its cargo-handling capacity. The third cargo handling terminal is expected to be ready by 2011," she added. Fong said courier companies in Hong Kong were expanding their operations because the PRD's manufacturing of high-valued products has increased.